Joshua McGhee serves as Technical Program Manager for IMS Global, leveraging more than 15 years of experience in technology-related fields. 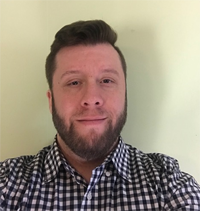 As technical program manager for Caliper Analytics at IMS, Joshua supports initiatives relating to how data about educational activities are consumed. Prior to joining IMS Josh was a senior business analyst with mdsl, a market leader in the telecom expense management field. In that role, Josh was responsible for integrations between the mdsl platform's procurement tool and various vendor systems as well as end-user experience through the procurement process. Originally from the Florida panhandle, Josh currently resides in New Jersey with his wife and their dog enjoying the turning of the 4 seasons.